« Is the Shortcut Worth It? A Good Day At City Hall? EVERY ONCE IN A WHILE we run into a situation where the implementation/ enforcement of a municipal code strays from the stated intent of the regulation. 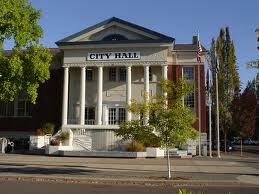 When it happens a visit to city hall is planned to clarify what needs to be done for a specific project to comply. Unfortunately such a visit can be an exercise in frustration, though sometimes there are small victories along the way. A recent event concerning a municipal regulations brought back a memory of a lesson learned about those codes: Never presume all of them are written in stone. There are times when city hall does listen, if approached properly. The lesson was learned through the smallest of tasks, our involvement with obtaining a town permit for a family backyard swimming pool— the thirty inch high above-ground kind. Their rear property line extended into a portion of the pond behind their home, which was suitable for fishing from the bank (a favorite pastime of their boys) but was not a choice for swimming due to the occasional presence of snapping turtles. As a result the property owners wanted a small pool for the hot days of August. Being aware their town required fencing to prevent young neighborhood children from playing near the pool and possibly falling into it, their permit application included a hand-drawn site plan placing the pool between the pond and their home, the backside of which would border the pool to the south. Child-proof fence would be on the east and west sides while the pond would guard the north. Each side fence would be attached to the house and run fully into the pond to prevent anyone from going around the pond-end of either side fence to gain pool access. On paper the plan appeared to provide the needed security yet allow the boys to fish from the bank. Nonetheless, following its submission the municipality rejected the application. When questioned the town told the owners their plan did not meet code, that the house side alone did not need a fence (access to the pool had to be from the house), and except for the house side the fence had to enclose the pool without a gate. Our review of code requirements disclosed the application satisfied the spirit and intent of the regulation but not the then current enforcement policies of the code. Moreover, the code allowed some degree of latitude at the discretion of the municipality’s code enforcement staff, though that department took a fail-safe approach by not allowing any deviations. As things stood, the town wanted an acceptable fence on three sides of the pool with no gate. A subsequent meeting with code enforcement only served to adamantly echo what was already known. Continuing our effort for logic, the town attorney agreed to see us yet seemed puzzled we would seek an exemption from the safety requirement to fence the side facing the pond. So we asked him why the town believed a small child would be able to reach the envisioned above-ground pool by first swimming about two-hundred fifty feet across a thirty-foot deep pond inhabited by snapping turtles then climbing to the top of the pool only to then somehow jeopardize his/her safety in the twenty-four inch deep pool water. It was a straightforward question that evidently caught his attention. Not too long thereafter we were notified the enforcement policy changed to allow some flexibility. A fence would still be needed along the pond side, but pond access could be gained through a self-locking gate. It was a compromise of sorts, which the owners ultimately accepted. Evidently the town acknowledged the logic, if only partially. It was a good day … of sorts. Want a consultant to help with municipal interactions? Feel free to contact us at InhouseCo@aol.com and place the words “Municipal Help” on the subject line. This entry was posted on April 7, 2014 at 10:15 and is filed under Consulting, Real Estate. You can follow any responses to this entry through the RSS 2.0 feed. You can leave a response, or trackback from your own site. Thanks for your suggestion. We will review our records and try to bring to the blog more of our encounters with municipal governments.